The results are now posted. 38 anglers showed up with the goal of catching lots of multi spotted redfish. A select few accomplished the mission nicely. Paddle-Fishing.com Challenge Series event #5 (actually the fourth of the season due to a schedule change for event #3) was the “Seeing Spots in Upper Tampa Bay” challenge. 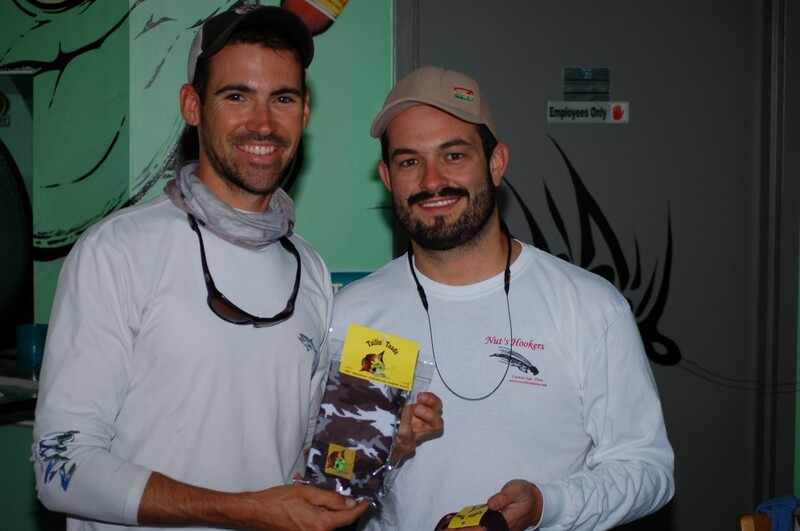 In our ongoing effort to have unique and challenging events, Tournament Director Chris “ChrisR” Ravelo decided to make this one a redfish spots event and the anglers were only allowed to use bucktails jigs supplied by sponsor Nut’s Hookers. The anglers were allowed to enter 2 redfish for which they 5 points for the fish plus 1 point for each spot on one side of the fish. For the 38 guys that showed up, it was a chilly start to the day. With predawn temps in the upper 40’s we were all thankful for a a break in the strong breezes we’ve been experiencing over the past few weeks. 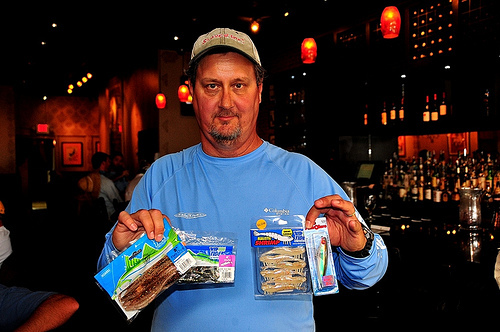 As the anglers paid their $5 entry fee, each was handed two of Nut’s Hookers bucktail jigs. The white one is 1/8th ounce and the brown is 1/4 ounce. 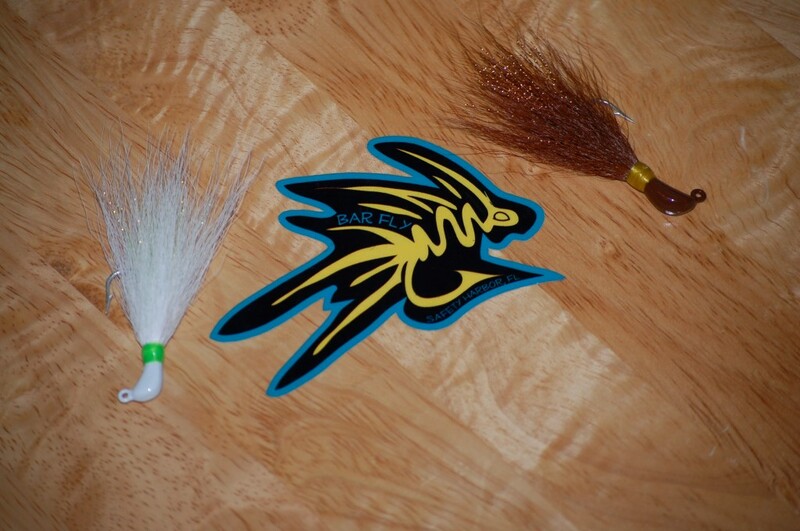 As a fan of bucktail jigs, I was impressed with the quality. Many bucktails are built cheaply and are pretty much one trip lures. Nut’s had nice paint that survived bouncing around on the oyster bars and wraps that are very solid. 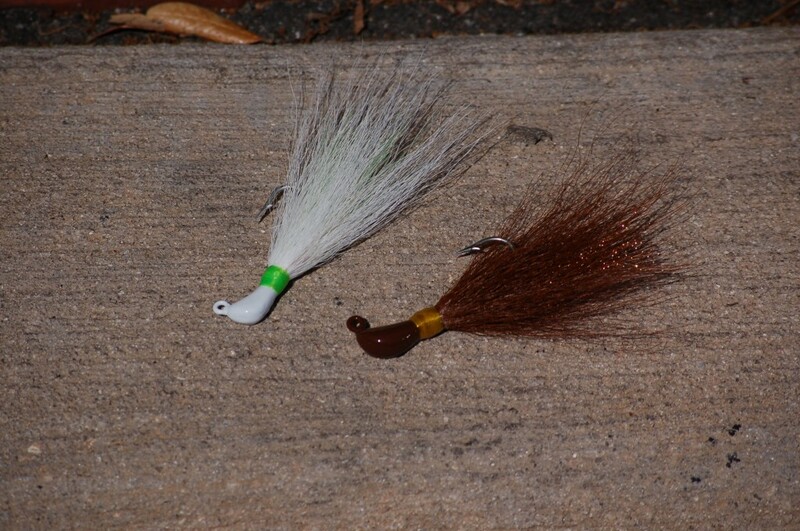 There was no bucktail shed from these jigs. The temps thankfully rose quickly as the sun came up but the unimpressive tides were going to make it a challenge for everyone. With little water movement all day it was going to take patience and persistence to catch the sought after redfish. The field was split, for the most part, between Rocky Creek on the east side of UTB and Safety Harbor on the west. Those that fished the Rocky Creek area had the better day. Chuck “Teamshaft1” Statham reported catching over 20 reds in the creek. Fish were caught on the Safety Harbor side but they were hard to find and not very aggressive eaters when found. 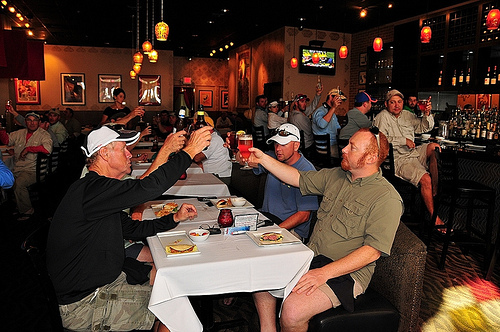 Out of the 38 anglers, only a few came back to the Pic n’ Sip with empty catch reports. 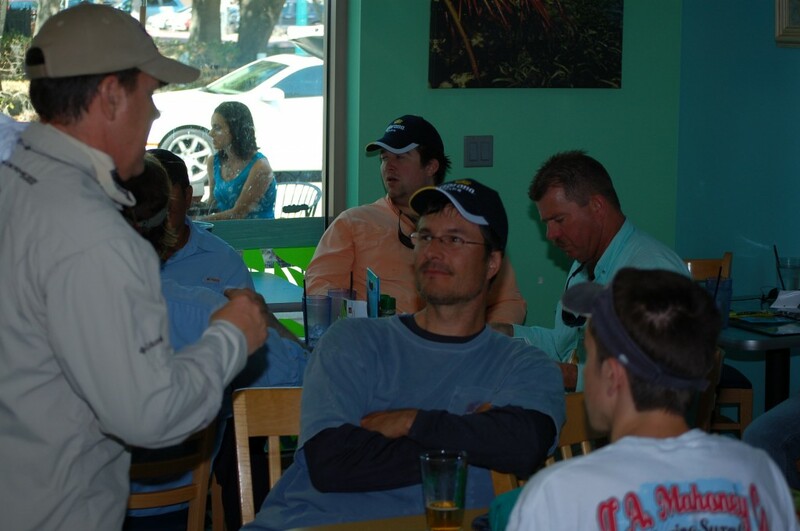 The Pic n’ Sip was held at Bar Fly in downtown Safety Harbor. 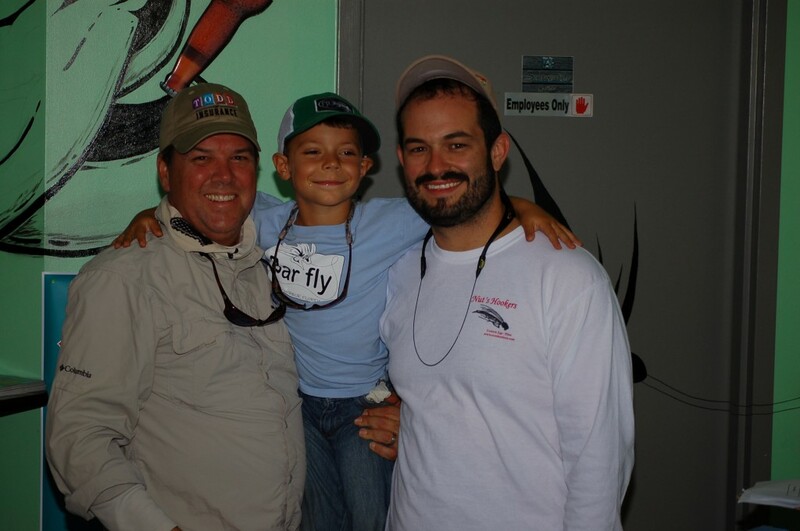 Jeff and Celeste Harrell, along with their rather engaging and future fly casting champion young son Ethan, own and run the place and it should be on everyone’s list of places to go for some good eats, cold drinks and a fun time. Bill “Heywood” Howard took first place in the spots category. He entered two redfish with a combined 7 spots. That earned him $95. 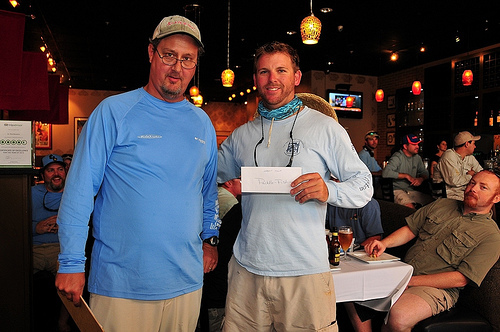 Todd “Todd” Llewellyn took second place with two redfish with a total of 4 spots. That earned him $57. 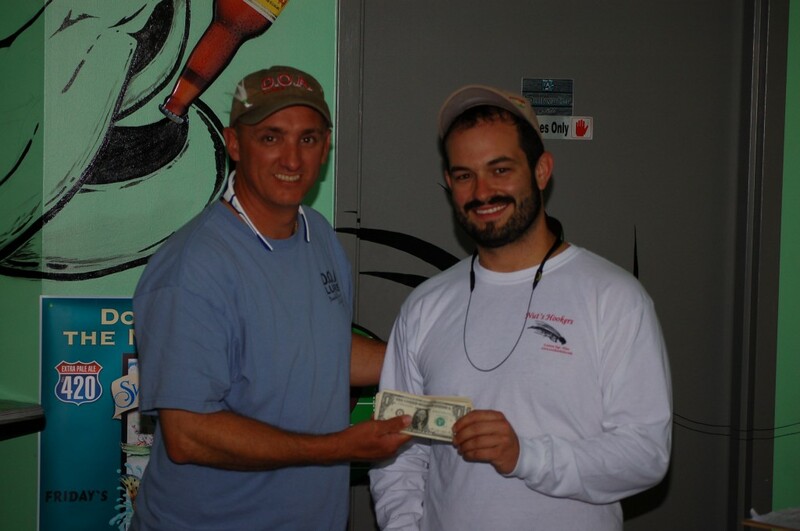 Chuck “Teamshaft1” Statham took 3rd place with 2 redfish with a total of 3 spots. Chuck earned $38. 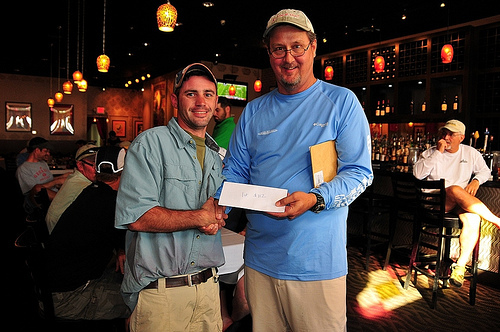 The next group of winners were in the largest redfish category. Taking top honors in this group is John “JKL” Lee with a 26.75 inch redfish. John took home a cooler from sponsor Polar Bear Coolers. 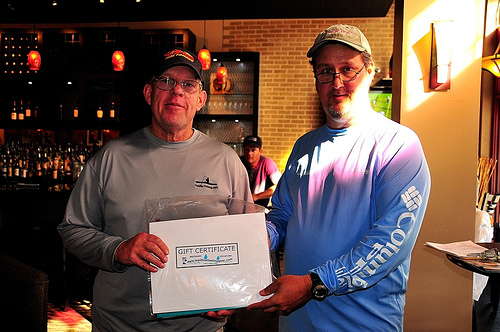 Steve “Manning” Manning entered a 26 inch redfish which earned him a $25 gift certificate donated by sponsor Metalfab, a top notch custom fabricator of metal products for Architectural applications. 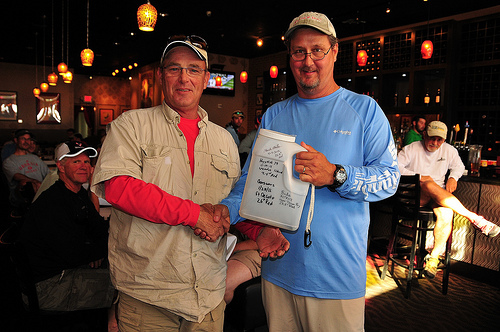 Richard “rpiatt3” Piatt took home the coveted Juggie award with a 22 inch redfish. We’re all looking forward to see what Juggie will experience in Richard’s care. Tailin Toads, manufacturer of the incredible fingerless gloves, donated some gloves and their newest product the Toad Shieldz. Hand made right here in Florida, these gloves truly offer sun protection and all day comfort. 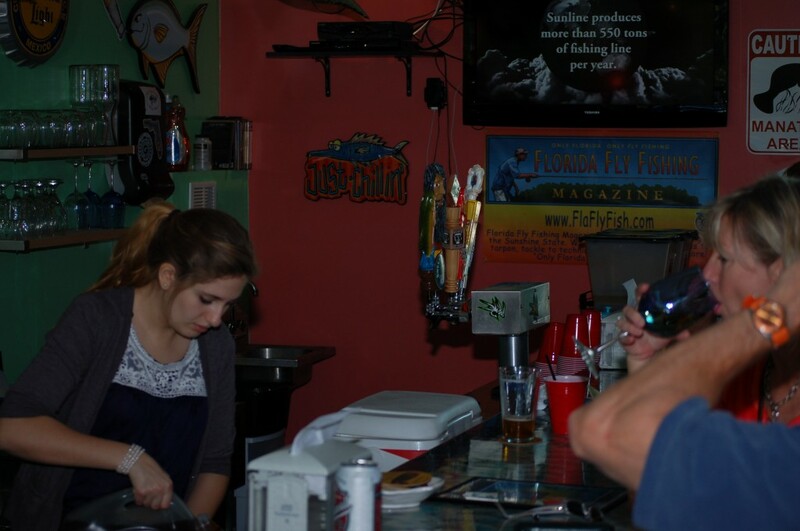 Once again, thanks to Nut’s Hookers for the great fish catching bucktails and to Bar Fly for the perfect venue for a PFCS Pic n’ Sip! Thanks to all who came out for the event. Paddle-Fishing.com’s tournament series is the longest running kayak fishing tournament series in the world. While it has changed names a couple times, the general series format has always been a low cost, emphasis on fun series that challenges you to try different lures and different places. Your coming out helps to assure that this series will continue to grow in the years to come. Our next event, PFCS #3, was rescheduled from November 17, 2012. It will be held on April 6th along the south shore of Tampa Bay. The lure is picked but we’re still working on a scoring format. As this will be the last of the season, I’m sure we’ll come up with something so we’ll go out with a bang. Maybe even literally. Photo credit for all goes to Bill “Heywood” Howard. Once again, thanks Bill for the effort and the nice pics! The second event of the Paddle-Fishing.com Challenge Series is complete. 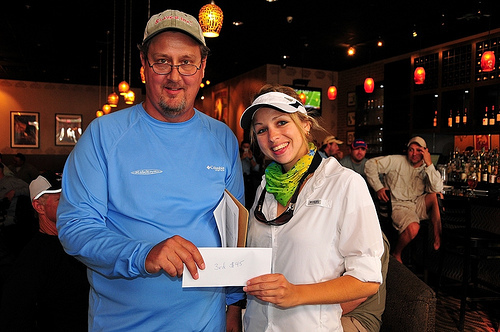 45 anglers used lures provided by Mirrolure and Riptide to compete for a large variety of prizes. In addition, all of the angler contributed to a fund that gave $240 to Project Snook! The initial scheduled date for PFCS #2 was October 27th. With a forecast (that did come true) of 30+ mph winds and small craft warnings throughout the bay area, we rescheduled it to the next date on our calendar, November 17. The event originally scheduled for November 17 will be rescheduled for some time in the spring. Our paddle fishing community lost a good friend a few months back. Mark “CooknFish” Bellotte was a well known writer, kayak angler and friend too many within our community. The PFCS #2 was a tribute to Mark and held in an area he fished often and knew better than most – Weedon Island. The day started off blustery with a solid breeze and fully overcast skies. We had a full list of anglers who had signed up to attend but a dozen or so must have changed their minds when their alarm clock sounded at 4:30 am and they stuck their head outside. The 45 anglers who did show up were rewarded with what turned out to be a beautiful day of fishing. This event was sponsored by Mirrolure and Riptide. Both companies supplied a fish catching selection of lures for each of the anglers. After paying the $5 entry fee, each angler received a Mirrolure Mirromullet XL and Riptide Flats Chubs, Conley Grubs, 4″ Mullets and Realistic Shrimp. A solid fish catching assortment! The Pic n’ Sip was held at the St. Pete Brasserie in downtown St. Petersburg. Owned by forum member and PFCS angler Jason “13” Chamoun, the St. Pete Brasserie will definitely be on our list for a must return to spot for future Pic n’ Sips and dining with friends. With a very large launch area for this event, anglers were spread out over a large section of the bay. Many found lower tides then expected due to the north winds over the past several days preceding the event. This didn’t stop them from catching plenty of fish. The format for this event was a slam format with substitutions. For the slam categories there were snook, redfish and trout. Bonus or substitution fish were flounder and snapper. Each had a minimum size qualification in order to count for points. After the slam categoriy we had awards for the largest of each fish. 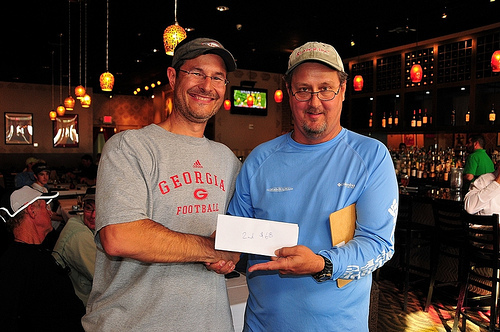 2nd Place – John “jbdba1″ Bishop with a 20.75″ red, 19″ trout and 12.75” flounder. John took home $68. 3rd Place – Mackenzie “MacMahi” Ruhnke with a 18.5 red, 17.5″ trout and 13.5″ flounder. Mackenzie took home $45. Largest Snook – Dave “rugrat181″ Stewart with a 27” snook (his personal best!). 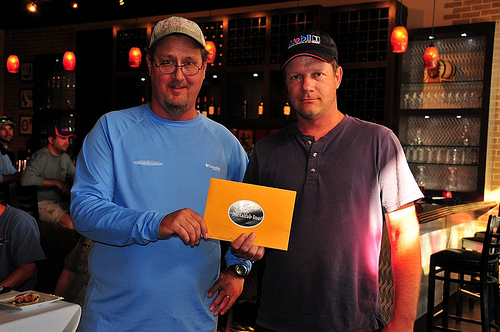 Dave took home a $25 Gift Certificate from Masthead Enterprises. Largest trout – Capt. Ryan “Remaxryan” Herrington with a 26″ trout. Ryan took home a $25 Gift Certificate from T.A. Mahoney. Largest Flounder – Bob “Dunfly” Riggins with a 19.5″ Flounder. Bob took home a $25 Gift Certificate from T.A. Mahoney. For this event we had a new category – Largest Fish by a Newbie. We’d like to encourage more first timers to come out and participate in this fun series of events so we added this category. The winner of this was Evan “Wonderboy” Bishop. Evan took home a $50 Gift certificate from T.A. Mahoney. Evan is the son of John Bishop who won 2nd place slam. Good day for the Bishop family! The final category to report may have the most prestige within the PFCS. Known as the Paddle-Fishing.com Perpetual Jug, many anglers have given everything they’ve had to try and win this but have come up either too long or too short. It is awarded to the person with the third largest redfish. Every winner has signed it and brought it back to the next event so we can keep passing it on. Paddle-Fishing.com Perpetual Jug winner – Olin “olinfins” Satterfield. Following the announcement of the winners, we had the largest raffle we’ve ever had. EVERYONE took home something. The list of sponsors for the raffle included Columbia, Breaths Like a Fish, Slayer Lures, Addictive Fishing, FINS Superbraid, Salty Shores, Action Watersports and Dicks Sporting Goods. Dicks Sporting Goods also gave each angler several valuable discount coupons and a $5 off coupon. Riptide supplied each angler with a coupon code for 30% off Riptide lures in their online store. As one angler said, “Between the lures, coupons, and gift certificates basically we were paid to fish. How sweet is that?”. The Tournament Director for this event was Bill “Heywood” Howard. Heywood put together a solid show! Thanks Heywood, we’ll be ‘volunteering’ you to do another soon! In addition to the $5 entry fee, each angler donated $5 to a fund to be given to Project Snook in memory of Mark “CooknFish” Bellotte. By the end of the event, we had collected $240. Thanks for your generosity guys. Mark would have appreciated it!. Our next event is scheduled for January 19, 2013 in the Fort Desoto area. The format for the event is not yet finalized but it will be a mystery lure type event where anglers won’t know what they are fishing with until the morning of the event. We’ll be sure to provide a solid selection so all you have to do is show up. 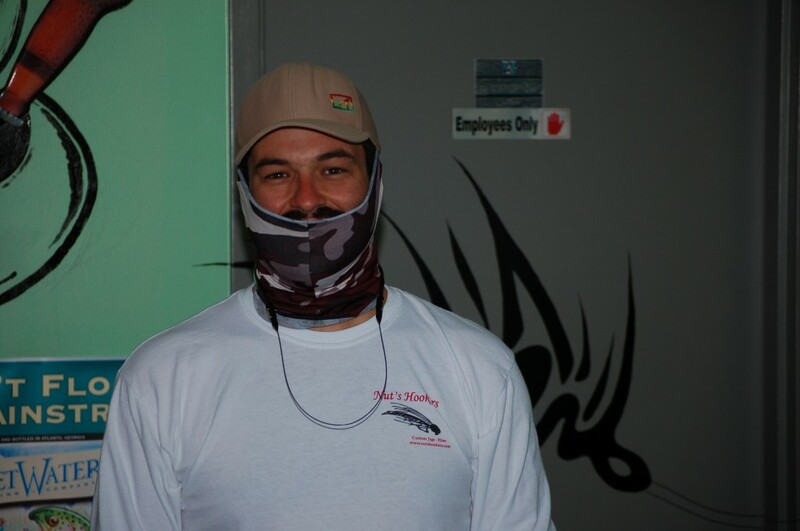 For more pictures and angler commentary, please visit the Paddle-Fishing.com forum. The first event of the Paddle-Fishing.com Challenge Series is complete and, as it is named, it was quite a challenge for many. We decided to mix things up this season. We’ve lowered the price of entry to $5 so that even those “I don’t fish tournament” guys would participate, we’re going away from the standard (and now boring) snook/trout/redfish slam format that all the other tournaments have and we’re emphasizing fun instead of wining one of the numerous prizes that are typically handed out. 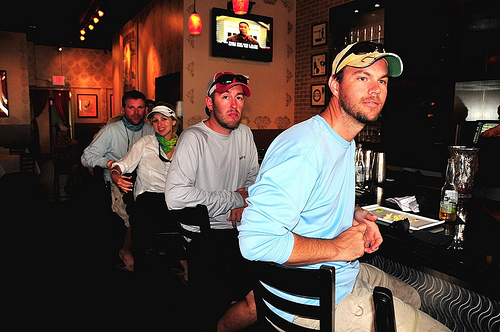 The first event was held in the Palma Sola area. This really was just where the morning sign in and Pic n’ Sip were held as the launch area was anything south of Manatee Ave. in Bradenton. Surprisingly, no one ventured very far south preferring to stay close and get one the water early. This year we held the morning sign in at a well lit Publix parking lot instead of the dimly lit county park along the causeway. By 6:15, when the Tournament Director arrived, 15 or so people were already there waiting for the 6:30 start time for the sign up. By the time sign up was finished at 7:00 a.m., with the last guy arriving with one minute to spare, 42 anglers had signed in to fish. The online sign up only had 32 people making the 42 that actually showed up a great surprise. The format for this event was different from anything we’ve ever done before. First, any lure used had to be chartreuse. If the manufacturer had “chartreuse” or “chart” in the color description it could be tied on the line. 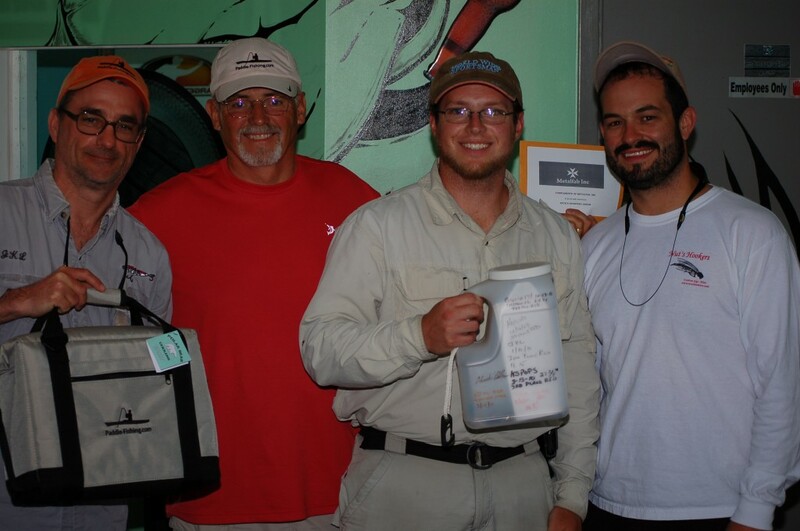 For the winning format, the anglers got the number of inches from their 2 largest fish (these two had to be different species) and a 5 point bonus for a jack, a lizardfish and a catfish. If the angler got all three bonus fish, he received an additional 5 point bonus. Some guys realized that they’d better really read the formats for the upcoming events. We see why shortly. The anglers were met with a beautiful day to fish. The tide starting charging in around 8 a.m., the sun was bright and they had a gentle Northeast to East breeze all day. Perfect fall fishing. The entire Palma Sola and Perico areas had very few other fishermen out on the water which was suprising for as nice a day as it was. 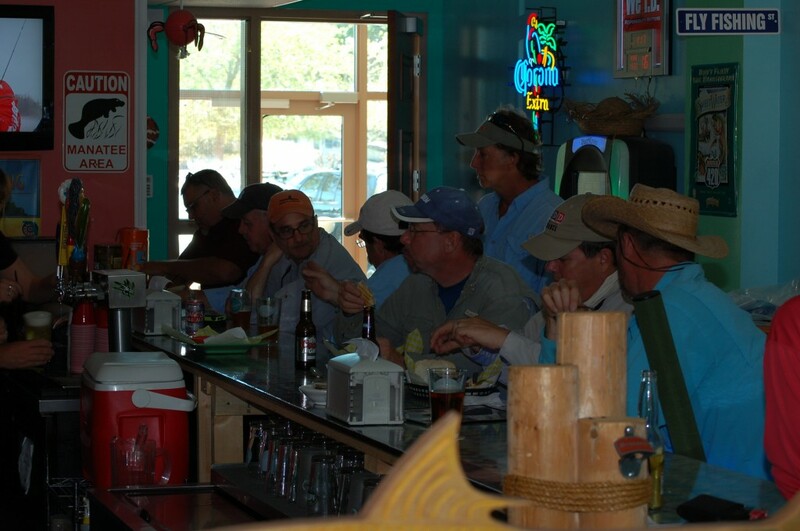 Around 1 p.m. anglers started arriving at the Seafood Shack off of Cortez Road. The Seafood Shack had set aside a section of their dining room for the Pic n’ Sip and were well prepared for the 45 hungry and thirsty anglers as they arrived. 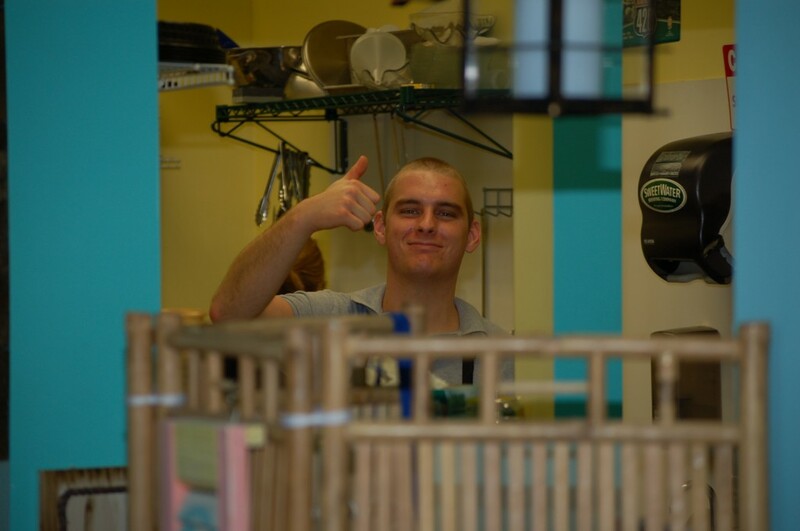 Thanks Seafood Shack for the good food, great drinks and tremendous service! 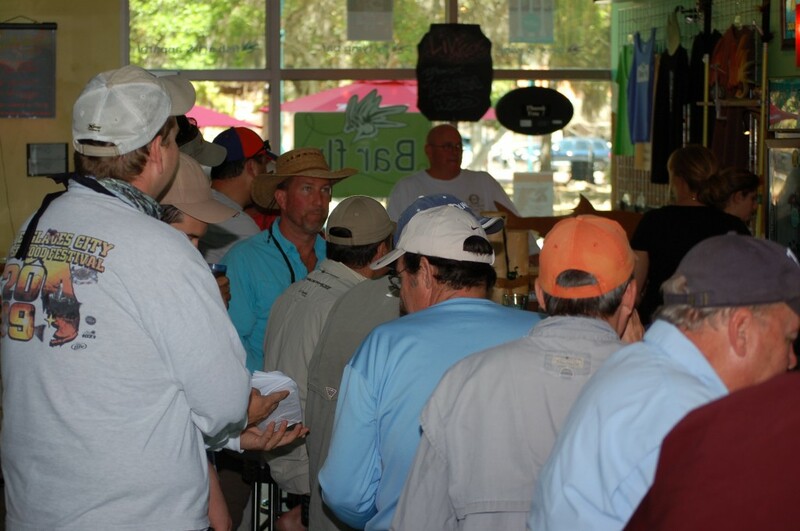 The tally sheets were being stacked on the Tournament Director’s table and the judging began. The Paddle-Fishing Tournament Series uses a system develop from the previous Paddle-Fishing.com One Lure and the Paddle-Fishing.com Tournament Series for keeping track of the entries as they come in. After a cut off time of 2 p.m., the winners were announced at 2:15. Virtually all other tournaments need at least an hour before they start announcing winners. 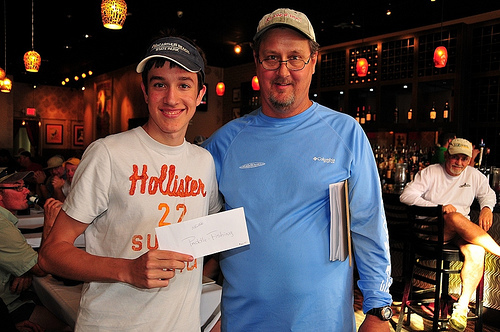 The winner for this event was Mike “MikeB” Belz. Mike entered a 33” redfish and a 17’ ladyfish for 50 inches. He added 10 bonus points with a lizardfish and a catfish for a total of 60 points. This got him $107 from the entry money collected. “Wait a minute, did you say ladyfish?”. Some people said it, others had it written all over their face. Maybe some anglers had that slam format imprinted to deeply on their brain as it seems many didn’t measure all of their fish. The format was two largest fish. There was no mention of specific fish so a ladyfish, Spanish mackerel, shark or any kind of fish would have counted. The only specific fish were the bonus fish. I will refrain from calling the bonus fish – jack, lizardfish or catfish – trash fish as the guys who took home the money all used bonus fish to do it and will likely never call them trash fish again. 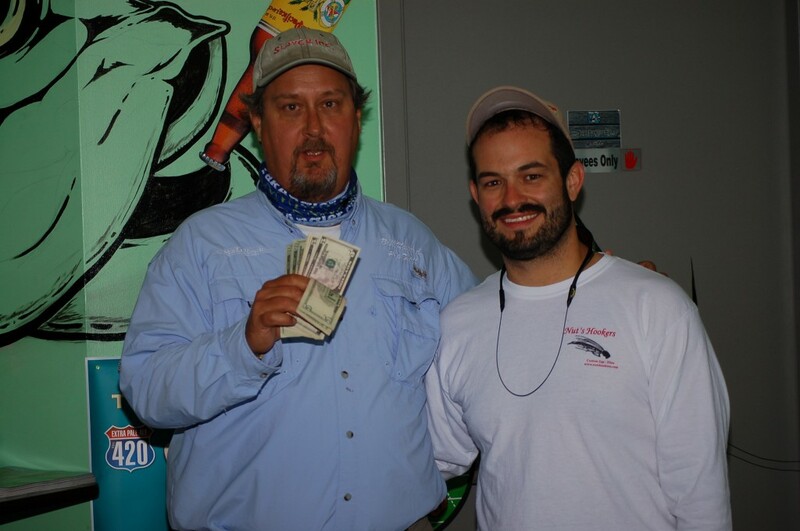 Chris “ChrisR” Ravelo took second place and he also did it with a ladyfish in the mix. His two largest fish were a 19.5” trout and a 14.5” ladyfish for 34 inches. Chris was one of only two anglers to catch all three of the bonus fish which gave him a full 20 bonus points making his total 54 points. Today was a first for Chris as it was the first time he’s ever taken a picture of a ladyfish he’s caught. Chris took home $64. In third we had Steve “Manning” Manning. Steve caught a 25.5 inch redfish and a 17.75 inch trout for 43.25 inches. A jack and a catfish gave him 10 bonus points for a total of 53.25 points. Steve took home $43. The bonus fish added a new element for many anglers. Everyone has caught jacks, lizardfish and catfish many times but few had any idea how to specifically target them. There was plenty of head scratching and ‘cast and hope’ going on out there as anglers struggled to get bonus points after boating two respectable sized fish for the inch tally. We had two other winner categories. Largest snook sponsored by Masthead Marine was won by Ron “Idle Speed” Young with a 30.5” snook. Largest Redfish sponsored by Metal Fab was won by Pat “pbr” Reischmann with a 27# redfish. Overall it was a good day fishing for all. Everyone caught fish and 38 of the 42 anglers turned in a tally sheet. The four that didn’t turn them in caught fish but rightly figured their total was too small. Thanks to all that came out for this event. The fishing was fun and the camaraderie at the Pic n’ Sip was, as always, very enjoyable. If you missed this event, please mark your calendar for the next one! PFCS #2 is a tribute to Mark “CooknFish” Bellotte. This event will be held on October 27th in the Weedon Island area. Sponsored by Mirrolure, Riptide and Breaths Like a Fish, all the lures you will be allowed to use will be given to you at the morning sign up. There is complete information about this event, along with a sign up list, on the forum. Our first event of the Paddle-Fishing.com Challenge Series is this coming Saturday, September 29. The huge launch area – anywhere from the Manatee River and south – offers lots of water to fish. We’ll be going back to Seafood Shack this year for the Pic n’ Sip! For complete info and sign up….. This season’s series has been announced! New name, new challenges, more fun! 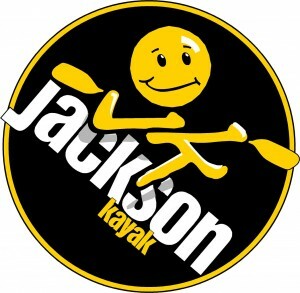 With the 2011 – 2012 PFTS now complete, we can now announce the results of the Angler of the Year sponsored by Jackson Kayak.